Until her demise in 2017, Fatuma Mohammed Musuohad gotten married to three suspected Al-Shabaab terrorists. The woman's relatives feared that she could have joined the terror group to avenge the death of her parents after she left Siaya for Mombasa in search of a better life. Her first husband, Kassim Omolo, who was wanted for the 1998 US Embassy bombing, introduced her to a life on the run. 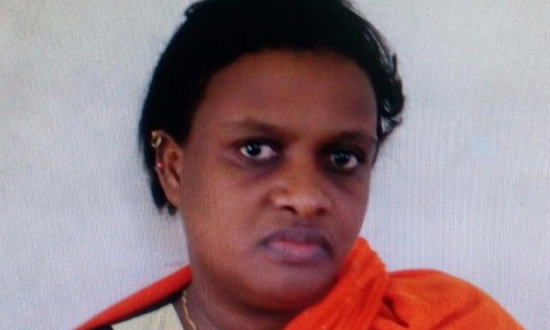 Fatuma Mohammed Musuo who married three Al-Shabaab suspects. A sister who once visited Fatuma narrated to The Standard that she cried after seeing Fatuma's lifestyle. Her house was barely furnished and she was always paranoid whenever someone knocked on the door. Fatuma was particularly smitten by Omolo's daredevil nature, let alone the fact that he was a bomb expert. Their criminal relationship came to an end in 2013 after police raided their home in Kisauni, Mombasa and gunned down Omolo. Fatuma then sort solace in the arms of Mohammed Soshi, the main suspect behind the murder of CID officer Mohamed Ibrahim. Soshi was known for carrying out attacks while dressed in a hijab and had become a feared criminal in Mombasa. In 2016, the plug was pulled on her second marriage after a police raid in Kisauni left Sochi dead. This made Fatuma abandon her four daughters in pursuit of freedom after police put a Ksh2 million bounty on her. She ran into the embrace of Farid Awadh, who was reported to be an associate of Sochi. Authorities believed that Farid was trained in Somalia before returning to the country.